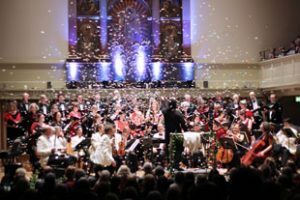 A Christmas extravaganza performed by the Bristol Ensemble and accomplished chamber choir Exultate Singers. A brilliantly entertaining evening of festive music including sparkling orchestral pieces, beautiful choral Christmas carols and the opportunity for audience members to join in with the singing too. David Ogden directs proceedings in charismatic style, making this is an annual favourite in the season’s concert diary for many. Tickets are on sale now from St George’s box office, priced from £12 to £26 with discounts for concessions and students in full time education.